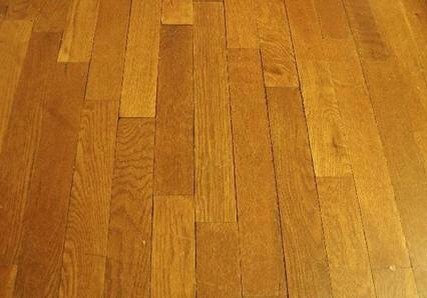 Squeaky Hardwood Floors Try this simple and Easy trick to quite the squeak. To silence your squeaky hardwood floors sprinkle some baby powder on the squeaky area and sweep it into the cracks. Then wipe the floor. The baby powder between the boards will act as a lubricant and will stop the annoying noise.